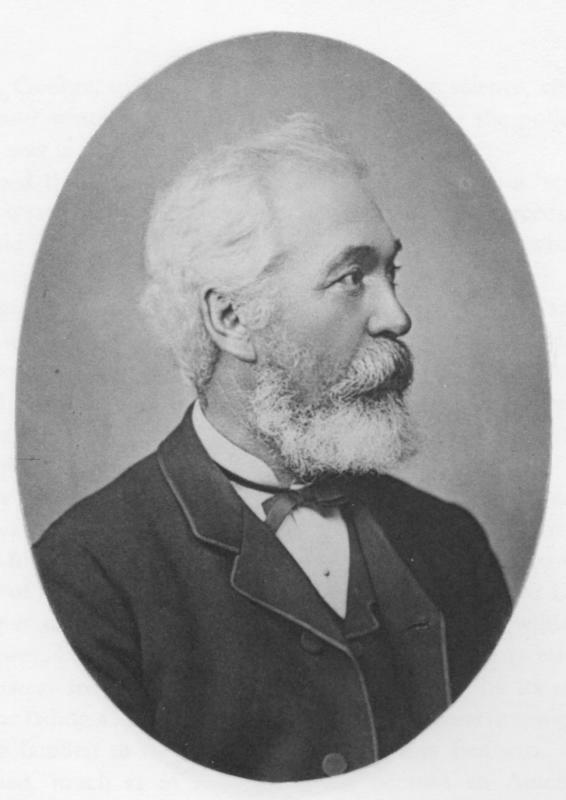 George Dickson was born in 1832 in Newtownards, son off Alexander Dickson, who was born in Scotland in 1801. Alexander started a nursery business in Newtownards in 1836 and in 1853 George and his younger brother Hugh joined as partners in the firm of Alexander Dickson & Sons. In 1869 Hugh left the partnership and set up on his own. George Dickson had four sons, all employed in the nursery, including Alexander and George who also made their mark in the rose business. Roses had been just one of the nursery's many crops, but over the years and in response to public demand, the Dicksons found themselves growing more and more. George did not initially intend to become a rose breeder, because everyone knew the British climate would not allow it. However this myth was shattered when Henry Bennett showed his `Pedigree Hybrids of the Tea Rose' in London in 1878. Quickly picking this up George Dickson started breeding roses in 1879. In 1886, Dickson's `First Set of Pedigree Seedlings' were exhibited in London and offered for sale the following year. The set was comprised of the red Hybrid Perpetual ‘Earl of Dufferin' named after the Viceroy of India, `Lady Helen Stewart', also red and `Miss Ethel Brownlow', a pink Tea. The `Second Set of Pedigree Seedlings' followed in 1888; and so on each year until 1892. In 1892, Dickson was awarded the National Rose Society's Gold Medal for a pink Hybrid Tea rose, `Mrs W. J. Grant'. Dicksons exported 100,000 plants to the United States. They held the Royal Warrant of Queen Victoria. In 1897, while on a state visit to Ireland, the Duke and Duchess of York visited Dicksons nursery. One great Dickson rose followed another: 'Bessie Brown' in 1899, 'Mildred Grant' in 1901, `Lady Ashtown' in 1904, and the single `Irish Elegance' in 1905. Finally, in 1912, George's sons introduced an enormous red rose named ‘George Dickson', in tribute to their father. In 1912 the National Rose Society awarded him its highest honour, the Dean Hole Medal. The citation described him as one of the most successful pioneers in the scientific hybridisation of roses. George Dickson died in 1914.